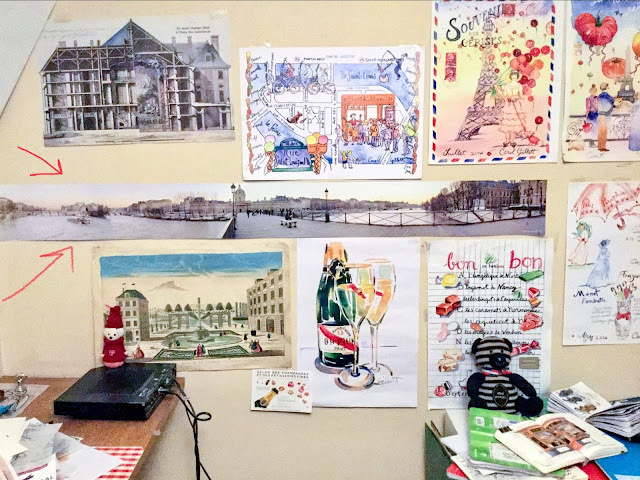 Before moving to Paris I suffered from EIFFEL TOWER INSANITY like everyone else.. 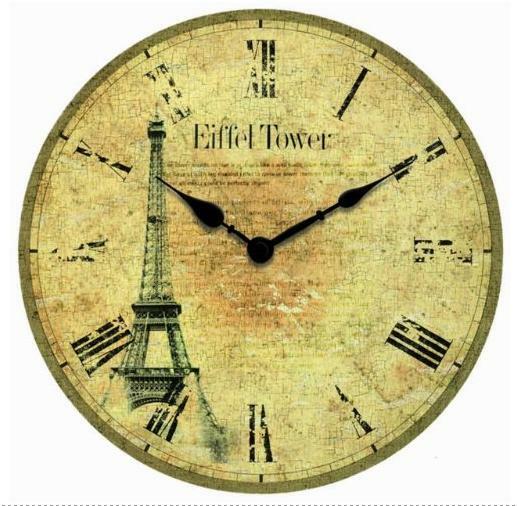 The Eiffel tower clock was an essential decor element. 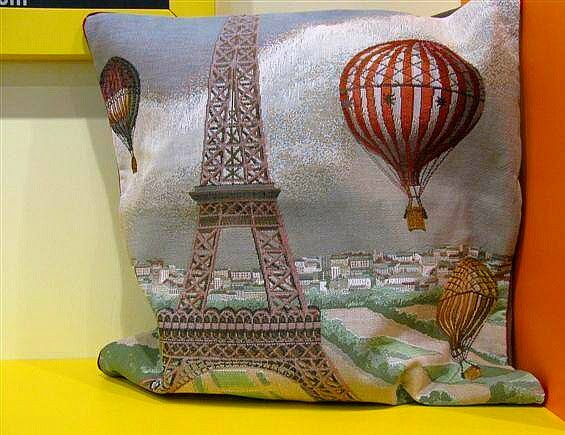 Why did I leave this Eiffel tower pillow back in New York. Where is it now? I took a gazillion photos at every opp and still do, though the obsession subsides with daily doses. 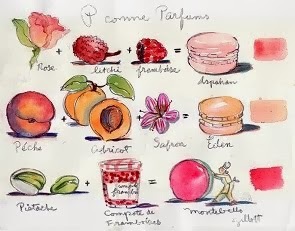 If you're similarly obsessed head for LA PLUME DE LOUISE EN L'ILE. Why not deck yourself out more or less head-to-toe? 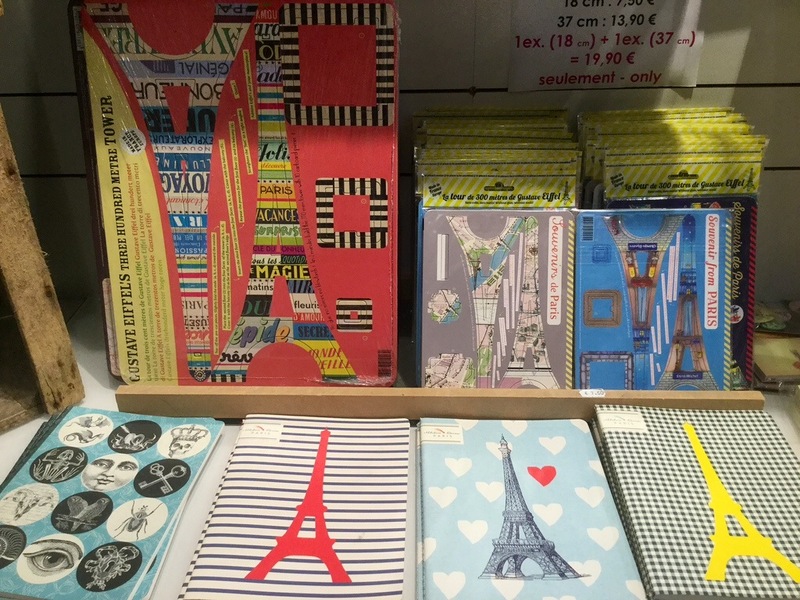 LA PLUME publishes wonderful notebooks, childrens books. Especially wonderful their unique DIY cardboard Eiffel Towers in an endless array of chic designs not just for kids. I wandered into LA PLUME DE LOUISE EN L'ILE gift shop by chance after soupe d'oignon at Brasserie de l'Isle Saint-Louis. Its next door so drop in at 3, rue jean du Bellay 75004. I swooned over wrap-around panorama of the Ile. The owner quickly ran downstairs and gave me a mini version now installed in my studio. Mille Merci M. Frank and thanks PBers for reading and sharing Parisbreakfast. 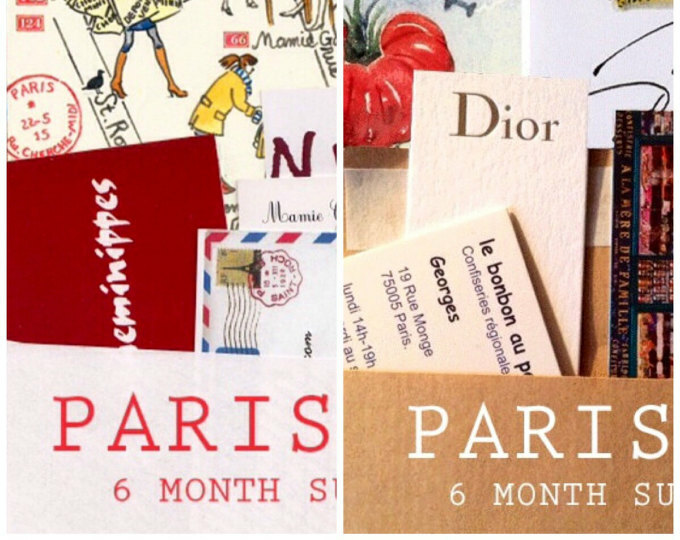 Subscription letters 💌, maps and watercolors are in my Etsy shop. 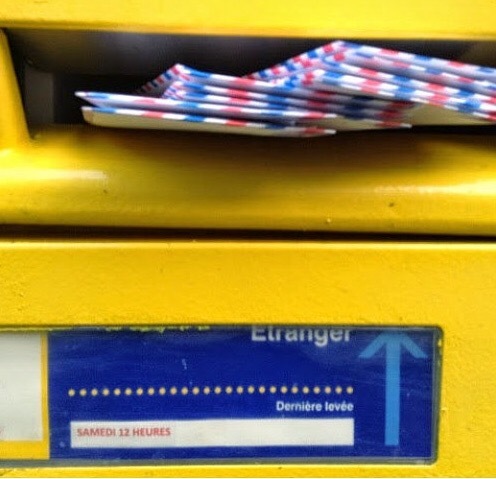 So I send her about 3 a week: notes, stickers, napkins. I could really load up here. I hope to come in September. You sure Audrey Hepburn didnt say that? Have a picture of one of my grandsons wearing his Napoleon hat, putting it together. Swoonable indeed. 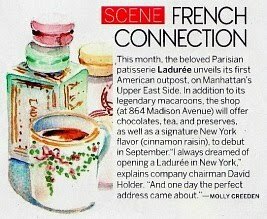 Looking forward to a photo of it wrapping around your petite kitchen! 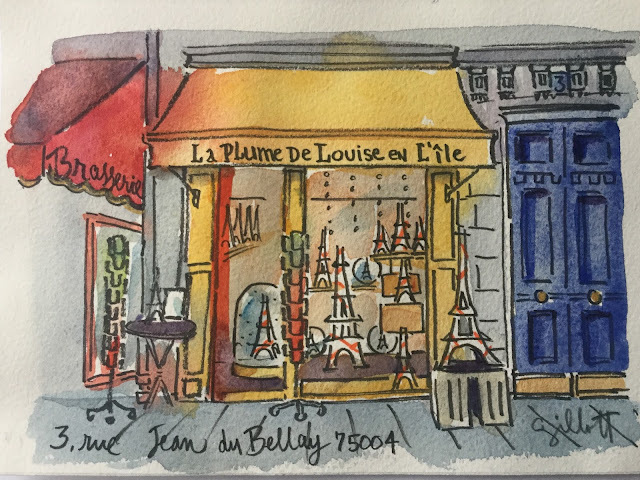 Thank you for sharing your life in Paris and of course your marvelous watercolors. Its on my studio wall. I think they should be selling your Eiffels too! It looks charming and everyone seems to love this image -- I know I do. Love those spoons. 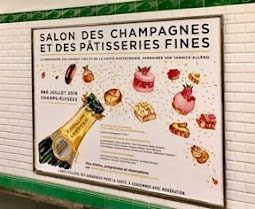 Probably a good thing I didn't find this spot when I was in Paris! So fun! I'll share this with my students. Thanks for sharing. 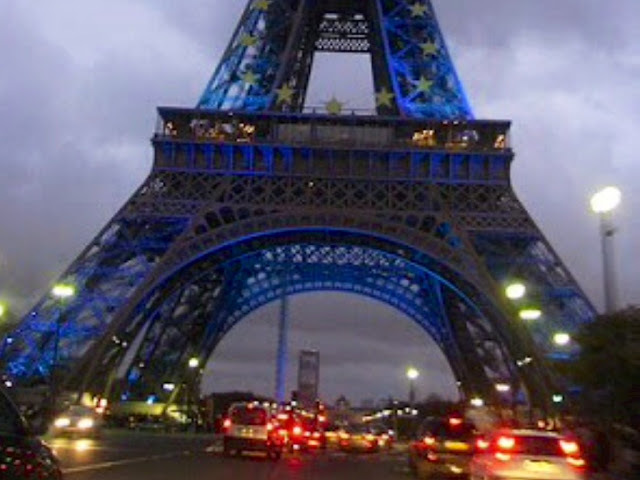 I am madly obsessed with everything Eiffel Tower. I have them in every room of my house in one way or another. The family room alone currently has 14. Friends played eye spy to see if there is a new addition. I will def. 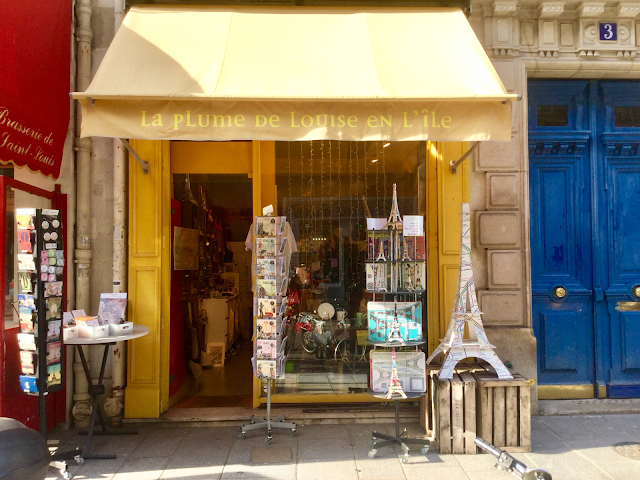 check out this store next time I am in Paris. 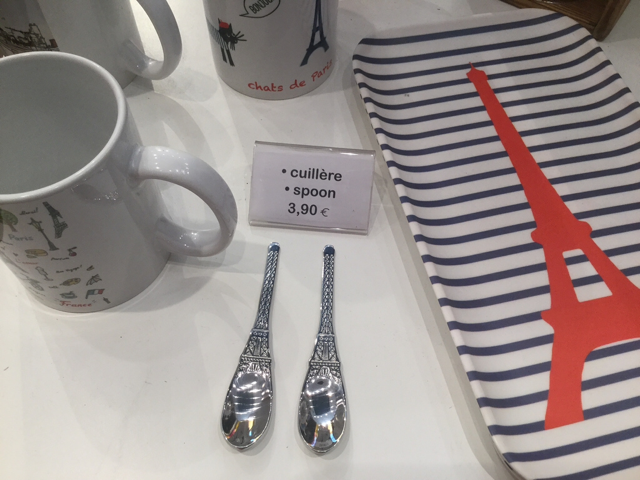 Those spoons are darling!!!!!! I love that shop & always find a treasure to bring home from there. The panorama is magnifique! I've wandered in from time to time...even bought a book or two but I didnt GET the theme of the shop. 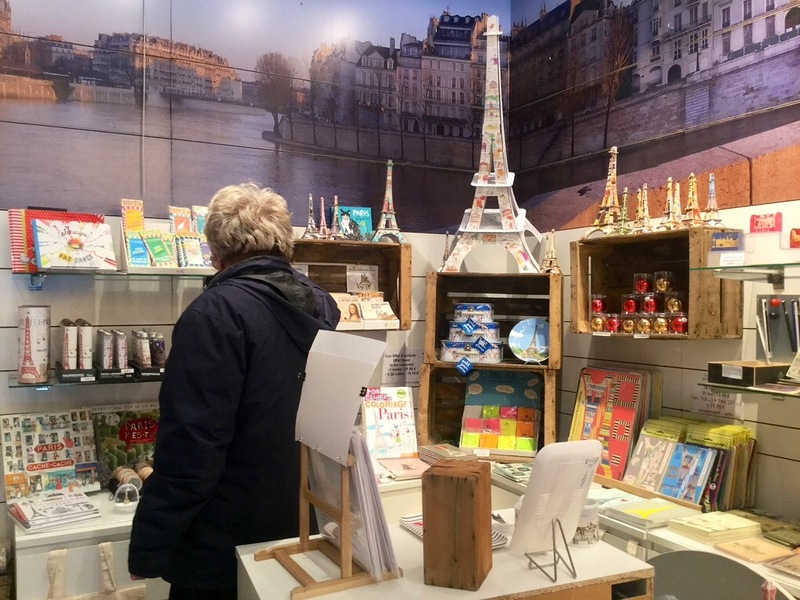 Tourists are more focused then moi me thinks..
Would you believe I bought an Eiffel Tower pen nib? I use it to write with a French accent. I found it here on ebay! 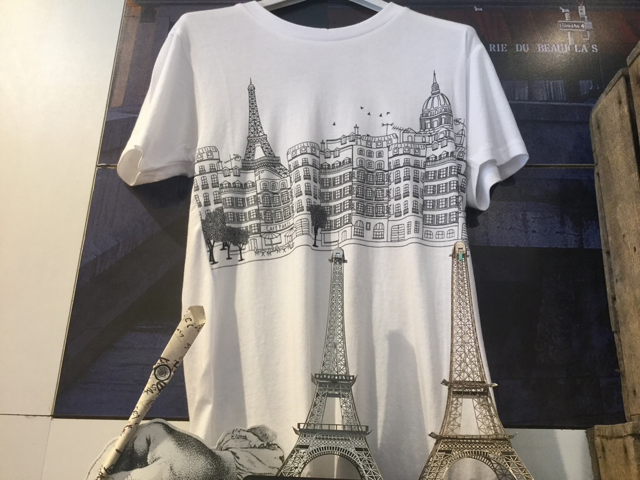 I love your post today of La Plume de Louise... so charming I’m a sucker for La Tour Eiffel too. I’ll never forget the first I saw it and stood under it-unforgettable. 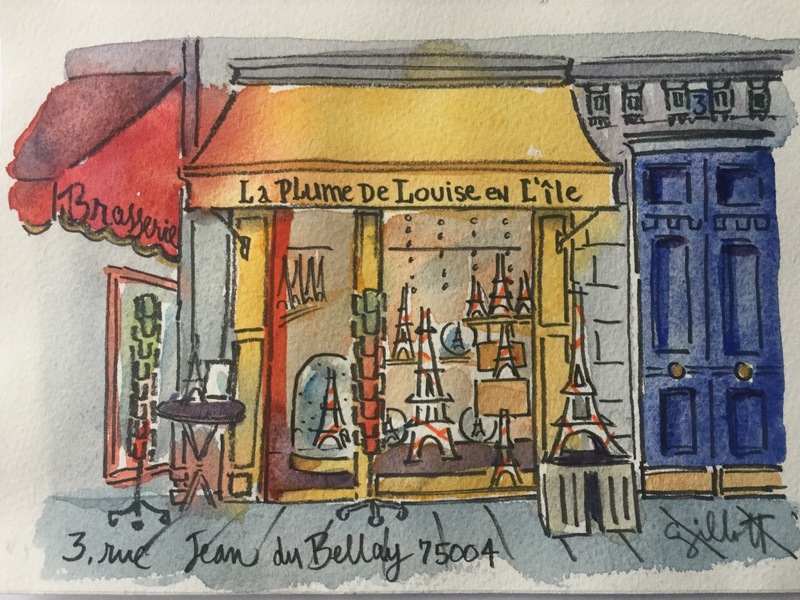 Any chance your watercolor of La Plume might become available for sale? ?